The EU Ministers for Competitiveness have discretely approved the proposed EU-Morocco fish deal, that is intended to apply to occupied Western Sahara. Sweden was the only Member State to oppose, citing the lack of consent of the people of Western Sahara. Just a day after the Ambassadors of the EU Member States had endorsed it, the Council of Ministers for Competitiveness on 28 November went on to rubber-stamp the proposed Sustainable Fisheries Partnership Agreement (SFPA) between Morocco and the EU, that will be applied to the waters of Western Sahara. The move was done discretely, without following press statements. Find the Council Decision on the signature of the SFPA here, the Council Decision on the Conclusion of the SFPA here, and the Council Regulation on the allocation of fishing opportunities under the SFPA here. Reportedly, only one country voted against: Sweden. In its separate statement, Sweden submitted that "the legal requirements from the European Court of Justice have not been met" as "vital organizations representing the people of Western Sahara have not given their consent". Germany and Denmark issued a joint-statement, which kicked off by explaining that they value "the strong political and economic partnership between the European Union and Morocco". Though the statement highlights the importance of complying with EU and international law, both countries express being reassured by a legal analysis of the Council's legal service that reportedly considers the agreement to be consistent with the CJEU judgment of 27 February 2018. Ireland and the European Commission also issued statements. Is is unclear how the EU Member States come to conclude that the new deal is in line with the judgment of the Court, as no consent has been obtained from the Saharawi people. A dozen Moroccan government bodies and Moroccan business groups have been consulted, but no-one advocating for self-determination, including the UN-recognised representative of the people of the territory. WSRW has requested the Council to release its legal opinion, but has not yet received a reply. The process in Council was indeed swift, and it is of note that the Council has thus approved the Fisheries Agreement and Protocol, ahead of the scheduled UN peace talks on Western Sahara that kick off yesterday in Geneva. It is the first time the Polisario and Morocco have sat around the negotiating table since 2012. Moroccan Minister of Foreign Affairs, Nasser Bourita, has already declared that he is "not going to Geneva for negotiations", but rather to emphasize that the only option to solve the conflict is the autonomy plan. Polisario has issued a statement to condemn the decision of the EU Council of Ministers, calling it a "blatant violation of the Saharawi sovereignty". Referring to the resumption of the UN talks, Polisario's EU representative Mohamed Sidati stated that: "It turns out that the EU, which claims supporting this dynamic, strives to conclude agreements with Morocco, to be extended illegally over occupied Western Sahara. This certainly thwarts the UN-led peace process." It is expected that the deal will be presented for a vote in the European Parliament's Fisheries Committee in January 2019, and a vote in plenary one month later. "Sweden will vote against the Council Decisions for the Fisheries Partnership Agreement between the European Union and the Kingdom of Morocco. When the mandate was adopted in April, Sweden made it clear that Sweden’s support for a future agreement would be dependent on the agreement fully respecting international law, including the judgements from the European Court of Justice. The judgements establish that implementation of agreements with Morocco covering the territory of Western Sahara, and the waters adjacent to its territory, must receive the consent of the people of Western Sahara. Sweden also made it clear that we understood “the people concerned” in the mandate to be “the people of Western Sahara”, in line with the judgements. Sweden thanks the EU institutions for their substantive work in the course of the negotiations, including in conducting the consultation process. Sweden values strong political and economic relations between the EU and Morocco, and remains supportive of cooperation within the realm of fishery. Sweden reaffirms that it is crucial that the people of Western Sahara give their consent to the agreement. After assessing the agreement and the process conducted, Sweden notes that vital organizations representing the people of Western Sahara have not given their consent to the agreement. Thus, Sweden concludes that the legal requirements from the European Court of Justice have not been met, and can therefore not endorse the agreement." "Denmark and Germany stress the importance of a strong political and economic partnership between the European Union and the Kingdom of Morocco. Denmark and Germany underline the importance of complying with EU law, of which international law may be considered an integral part when entering into bilateral agreements. We have taken careful note of the “Contribution of the Council Legal Service on the Draft amended Fisheries Agreement and draft new Fisheries Protocol with Morocco- compatibility with the case-law of the Court”. Denmark and Germany have consistently emphasized that an agreement has to be consistent with the judgment of the Court of Justice handed down on 27 February 2018 in Case C-266/16. Denmark and Germany take the content and form of the Contribution as evidence that the Council Legal Service considers that entering into the presented agreement is fully consistent with the judgment of the Court of Justice handed down on 27 February 2018 in Case C-266/16 and does not prejudice the status of Western Sahara. Denmark and Germany consider the status quo in Western Sahara as an impediment to the political, economic and social development in the Maghreb region. Therefore, Denmark and Germany continue to support the United Nations process to find a just, lasting and mutually acceptable political solution for Western Sahara. On the basis of the above, Denmark and Germany support the adoption of the council decision on the amendment of the Fisheries Agreement and the Fisheries Protocol." Ireland's statement is essentially the same as that of Denmark and Germany, minus the sentence that referring to the status quo in Western Sahara as an impediment to the political, economic and social development in the Maghreb region. "Ireland stress the importance of a strong political and economic partnership between the European Union and the Kingdom of Morocco. Ireland underlines the importance of complying with EU law, of which international law may be considered an integral part when entering into bilateral agreements. We have taken careful note of the ““Contribution of the Council Legal Service on the Draft amended Fisheries Agreement and draft new Fisheries Protocol with Morocco- compatibility with the case-law of the Court”. Ireland has consistently emphasized that an agreement has to be consistent with the judgment of the Court of Justice handed down on 27 February 2018 in Case C-266/16. 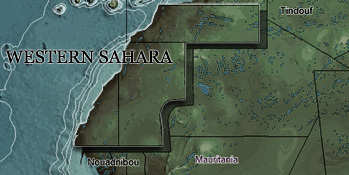 We take the content and form of the Contribution as evidence that the Council Legal Service considers that entering into the presented agreement is fully consistent with the judgment of the Court of Justice handed down on 27 February 2018 in Case C-266/16 and does not prejudice the status of Western Sahara. Ireland continues to support the United Nations process to find a just, lasting and mutually acceptable political solution for Western Sahara. On the basis of the above, Ireland supports the adoption of the Council decision on the amendment of the Fisheries Agreement and the Fisheries Protocol." "By its judgement in joined cases C-103/12 and C-165/12 (European Parliament and the Commission v. Council) the Court of Justice clearly confirmed that decisions relating to the conclusion of external fisheries agreements fall fully within the scope of Article 43(2) TFEU (in conjunction with the applicable procedure of Article 218 TFEU, i.e. Article 218(6)a(v) for the decisions on the conclusion of the agreements) and rejected the position that such decisions could fall within the scope of Article 43(3) TFEU. 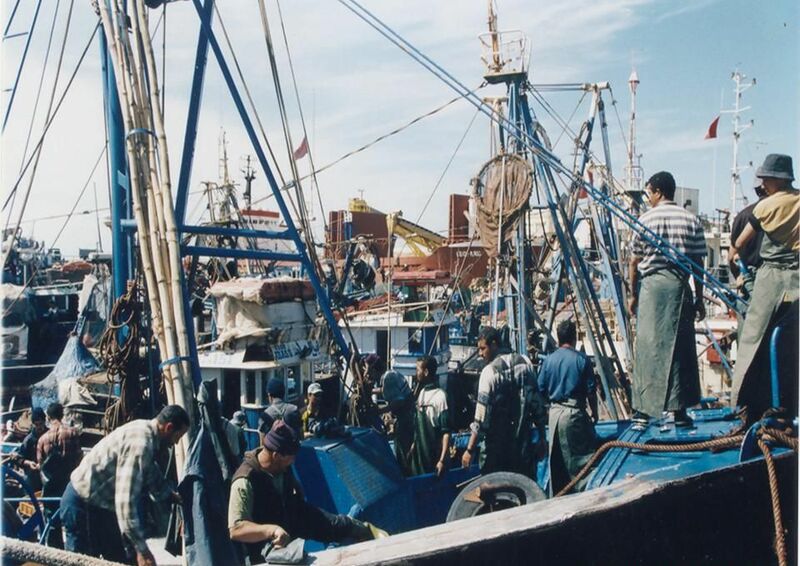 In relation to the decisions on the signing and conclusion of the Sustainable Fisheries Partnership Agreement between the European Union and the Kingdom of Morocco, the Implementation Protocol thereto and an exchange of letters accompanying the said Agreement, the Commission emphasises that the consent of the European Parliament will in any event be required for the conclusion of this Agreement and Protocol, and that, for this reason, the precise substantive legal basis of Article 43(2) TFEU as it had proposed was most appropriate. Yet, in order to facilitate a swift conclusion of the intended Agreement and Protocol in the now prevailing circumstances of urgency, the Commission would not oppose a Presidency compromise, by way of which the legal basis would be changed to Article 43 TFEU with the same consent procedure still to be applied in accordance with Article 218(6)(a)(v) TFEU. This shall not in any way constitute a precedent."